Dysprosium (Dy) Nanoparticles, nanodots or nanopowder are black spherical high surface area particles. Nanoscale Dysprosium Particles are typically 10 - 80 nanometers (nm) with specific surface area (SSA) in the 30 - 60 m2/g range. Nano Dysprosium Particles are also available in passivated and Ultra high purity and high purity and coated and dispersed forms. They are also available as a dispersion through the AE Nanofluid production group. Nanofluids are generally defined as suspended nanoparticles in solution either using surfactant or surface charge technology. Nanofluid dispersion and coating selection technical guidance is also available. Other nanostructures include nanorods, nanowhiskers, nanohorns, nanopyramids and other nanocomposites. Surface functionalized nanoparticles allow for the particles to be preferentially adsorbed at the surface interface using chemically bound polymers. 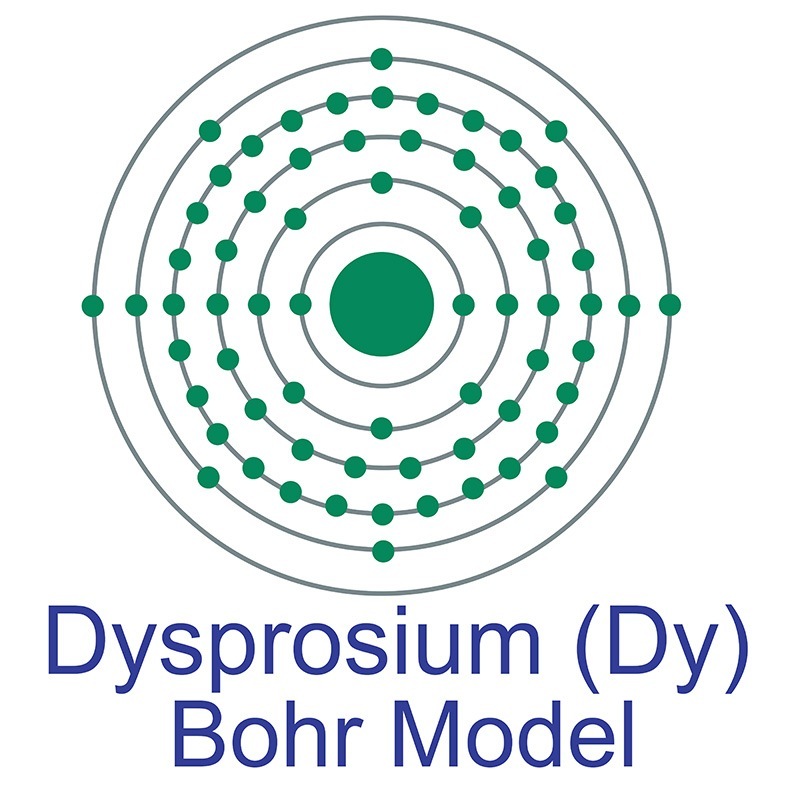 See more Dysprosium products. Dysprosium (atomic symbol: Dy, atomic number: 66) is a Block F, Group 3, Period 6 element with an atomic radius of 162.5. The number of electrons in each of dysprosium's shells is [2, 8, 18, 28, 8, 2] and its electron configuration is [Xe] 4f10 6s2. The dysprosium atom has an atomic radius of 178 pm and a Van der Waals radius of 229 pm. Dysprosium was first discovered by Paul Emile Lecoq de Boisbaudran in 1886.In its elemental form, dysprosium has a silvery-white appearance. It is a member of the lanthanide or rare earth series of elements and, along with holmium, has the highest magnetic strength of all other elements on the periodic table, especially at low temperatures. Dysprosium is found in various minerals including bastnäsite, blomstrandine, euxenite, fergusonite, gadolinite, monazite, polycrase and xenotime. It is not found in nature as a free element. The element name originates from the Greek word dysprositos, meaning hard to get at. Improvement of a rapid diagnostic application of monoclonal antibodies against avian influenza H7 subtype virus using Europium nanoparticles.